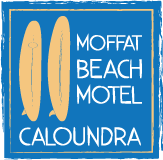 We CARE about your Christmas in Caloundra – we book it direct for personal service & a special stay! CALL US ON 07 5491 2122 FOR AVAILABILITY. Special rates for 2 or more nights staying from Sunday to Friday. Call us today on 07 54912122 for more information.